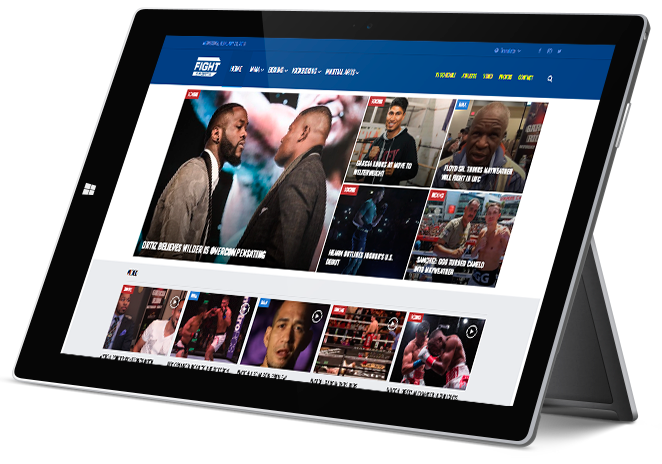 FIGHT SPORTS needed freedom from an overpriced, proprietary content management system that was limiting their flexibility and growth. We helped them migrate all their content to a custom implementation of WordPress and develop custom plugins to fit their specific publishing and editorial needs. The property went from only a few thousands followers to over 1.5 million fans and followers across the major social media channels. This is an incredible win for the FIGHTSPORTS team post launch that allows them to continue to develop new products to inform, engage and entertain. Thanks for helping us get here! We significantly simplified the athlete database portion of the site by creating an athlete custom post type and custom taxonomy system within WordPress. 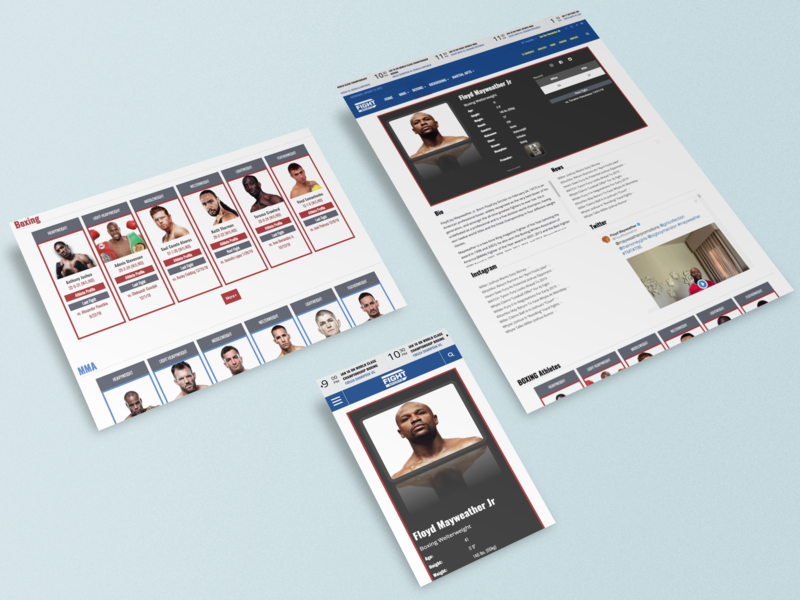 Using the WordPress API we were able to continue to allow the FightSports team to use existing custom tools to update profiles or to update directly from the CMS. 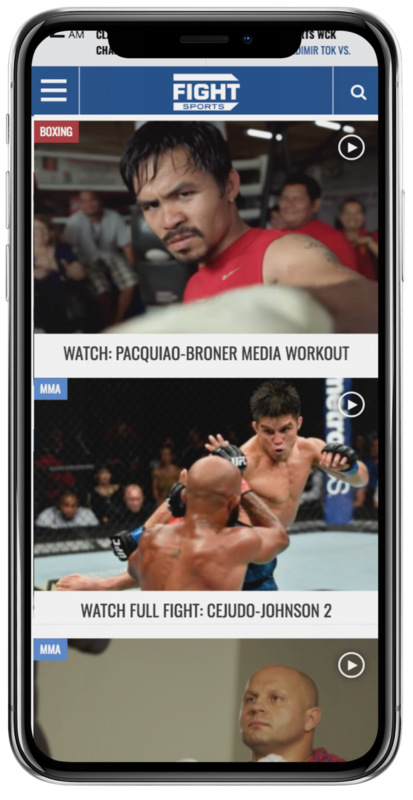 Since a majority of traffic to FIGHTSPORTS comes on mobile devices a lot of consideration and craft went into creating a great, responsive experience for these site visitor. 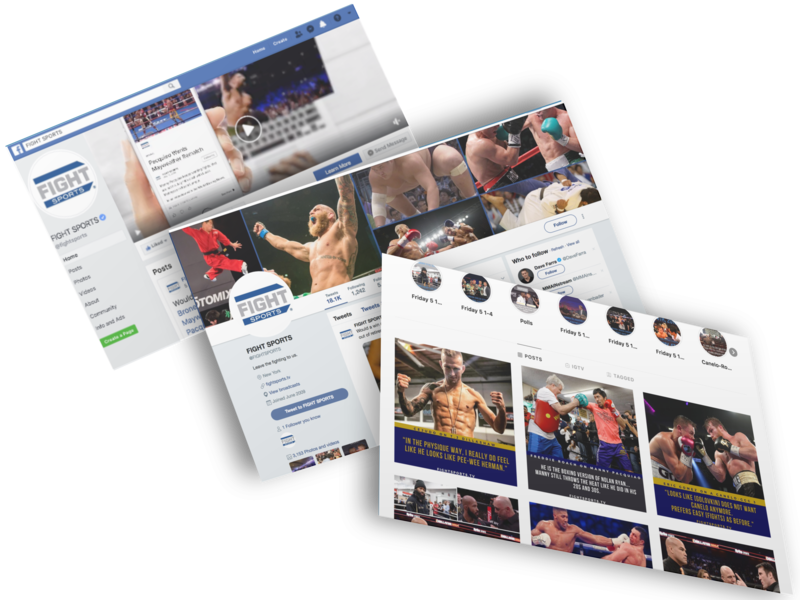 Because FIGHT SPORTS has an ambitious mission of engaging the entire globe with content across all fight disciplines, organizing this mission into one homepage dashboard that highlighted both video, event and traditional story-based content was a big challenge. The site was programmed to efficiently loads resource-draining media files and live data feeds via ajax to speed up page load. 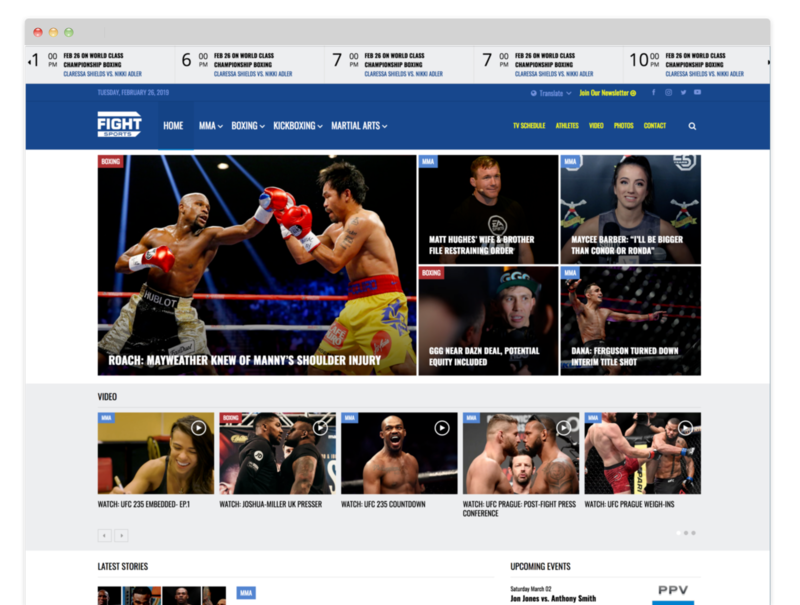 FIGHTSPORTS is now save tens of thousands of dollars annually previously being paid on license fees for a proprietary content management system that seemed to be causing more problems than it was solving for them. Because they now use an open source system and the same CMS used by many fortune 1000 companies, they have unlimited flexibility and power to grow as much as they can without compromise. Since launch, monthly site visits have grown each month and the brands social media following has gone from only a couple thousand to over 1.5 million Facebook followers. And they continue to grow!